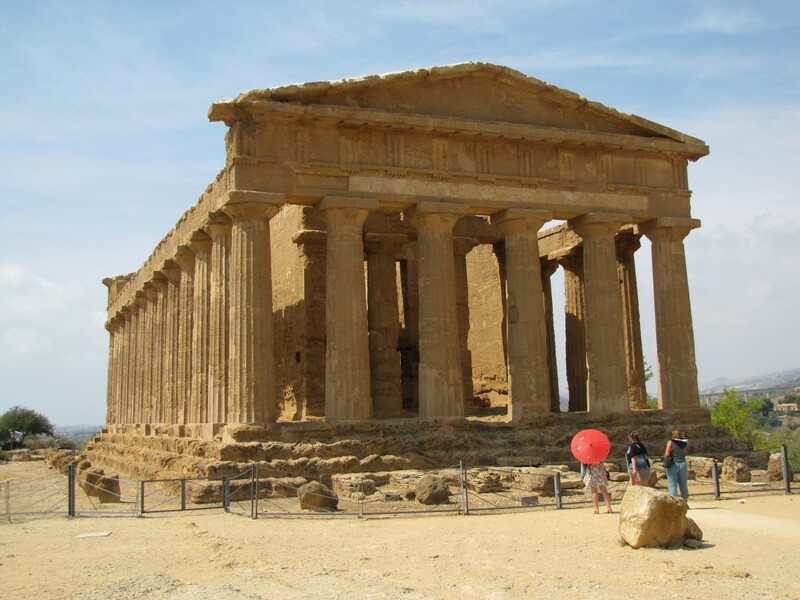 Located just outside of the Sicilian city of Agrigento on the southern coast of Sicily is perhaps the finest example of Greek Doric Temples found anywhere in the world outside of Greece itself. 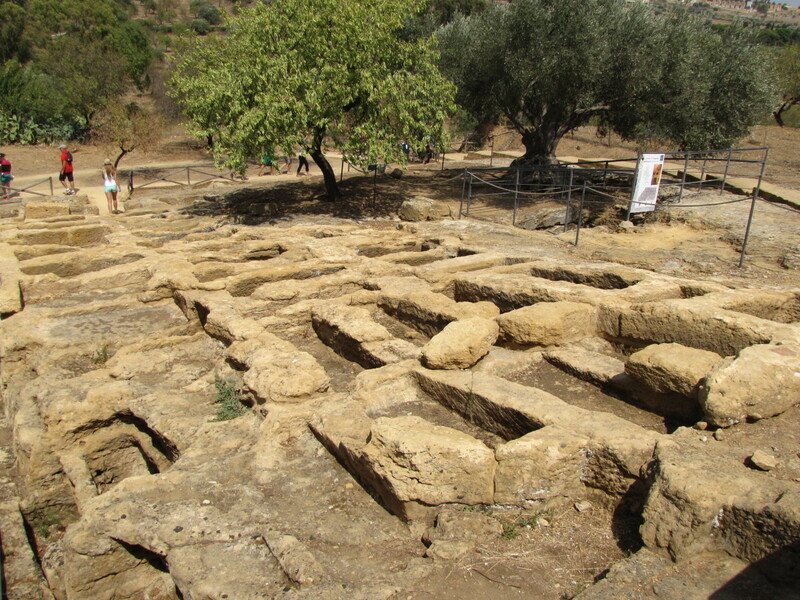 The site, which sits on a ridge and not in a valley as its name implies, contains the remains of numerous Greek temples that were constructed during the 5th and 6th centuries BC, making them over 2,500 years old. In 1997 the Valley of the Temples was designated as a UNESCO World Heritage site and this archaeological treasure is now a national monument of Italy. 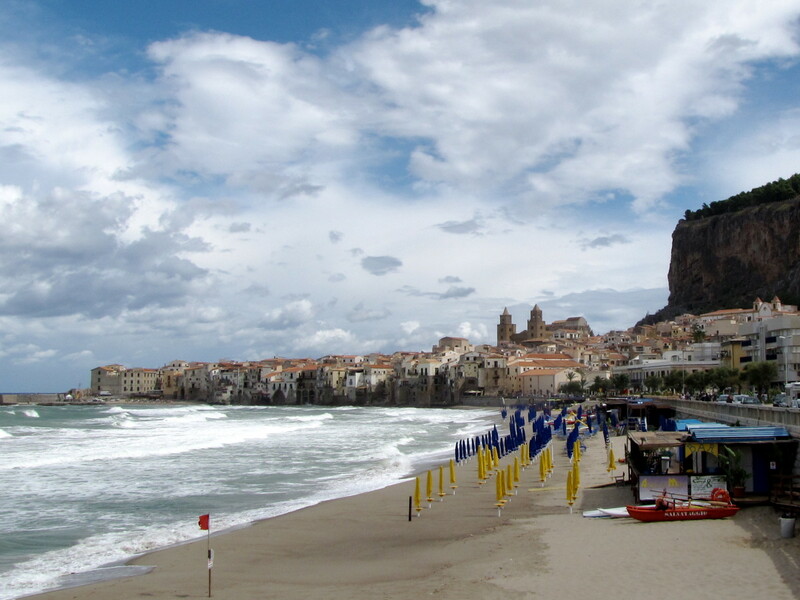 If you are planning a visit to Sicily this is a must-see destination. 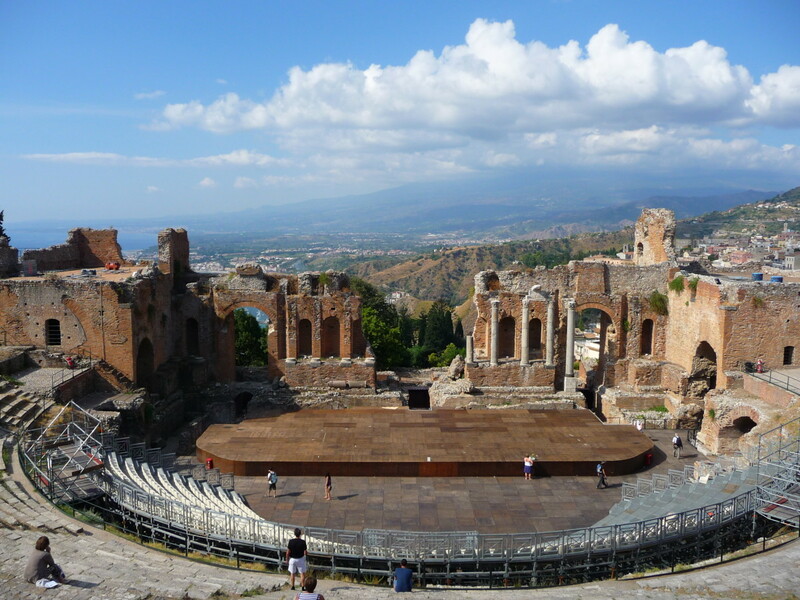 A visit to the Valley of the Temples can be done as a day trip and transportation is available from any of the major metro areas on Sicily including Palermo, Taormina, and Catania. 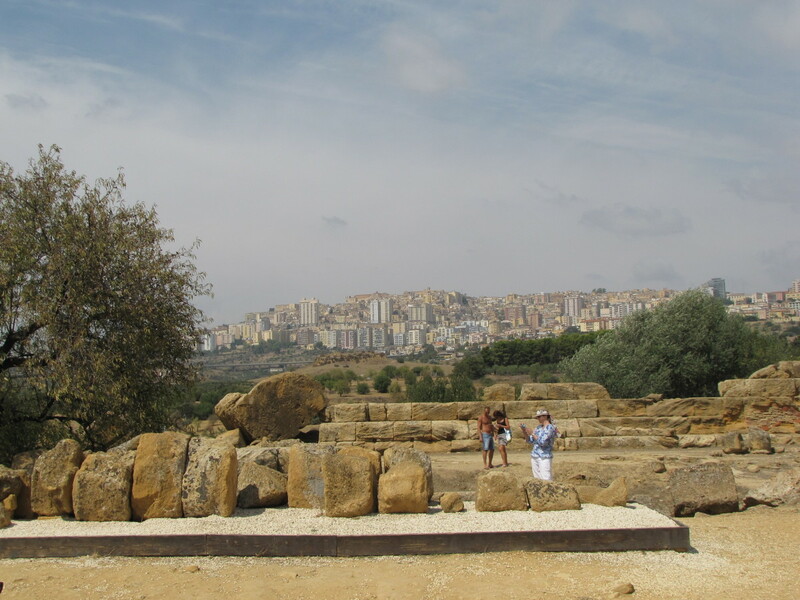 Agrigento can be reached by bus or train, and the archaeological site is located just four miles south of the town. 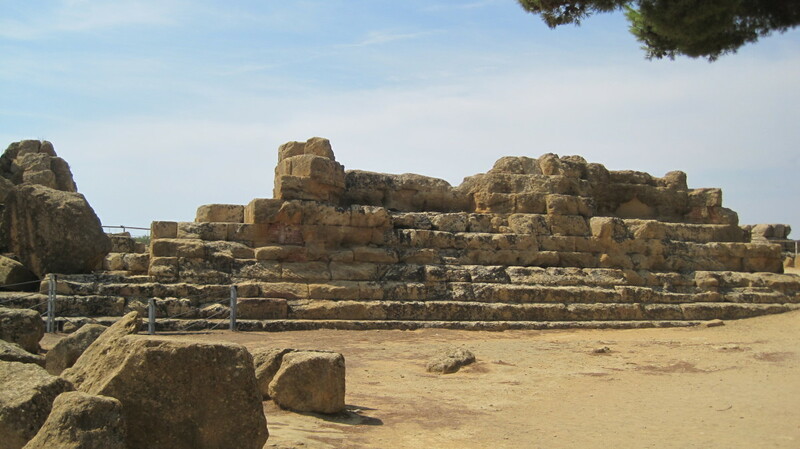 Local buses run regularly from Agrigento and it is a short and easy trip. 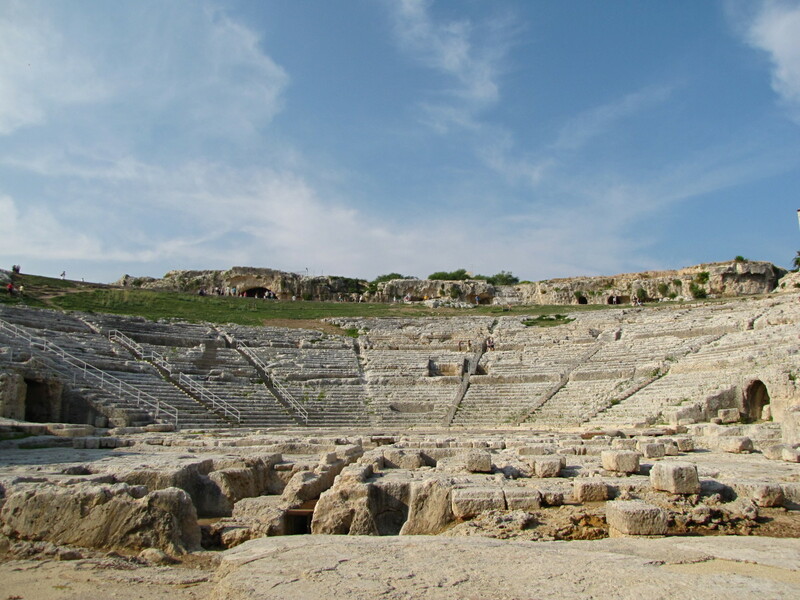 Organized day tours can also be taken from pretty much anywhere in Sicily and you will notice the large number of tour buses when you arrive here. We arrived by car as we were driving through the area on our way from Modica in the southeastern part of Sicily to Cefalu on the north central coast. This is a fairly popular tourist site and there are numerous signs directing you to the temples. The temples themselves are easy to spot from a distance as they are perched on a hilltop. The trip from both Catania and Palermo will run you about two hours. We found parking at the site to be adequate but somewhat confusing so watch for signs as you enter the site. The park is open daily from 8:30am until 7pm and the entry fee is 10 euro for adults. For members of the European Union the fee is 5 euro and for local residents the fee is just 1 euro. The fee to rent an audio guide is 6 euro. The Valley of the Temples contains the remains of seven temples. 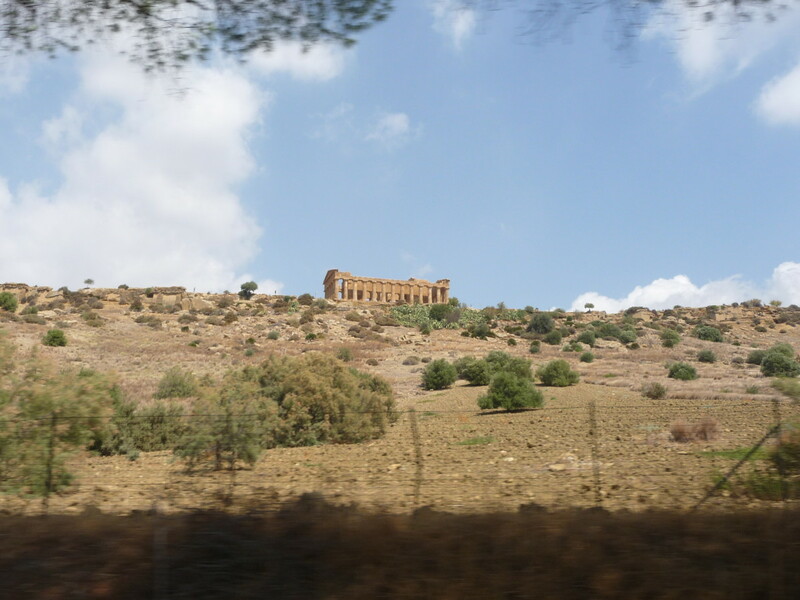 Six of them reside along the crest of the hill while one, the Temple of Asclepius, is located on the banks for the Akragas River. The condition of the temples ranges from the very well preserved Temple of Concordia to the Temple of Olympian Zeus, which has been reduced to ruin from earthquakes, war, and deconstruction when the temple was used as a quarry. In addition to the temples the area contains a number ancient houses, tombs, and monuments. 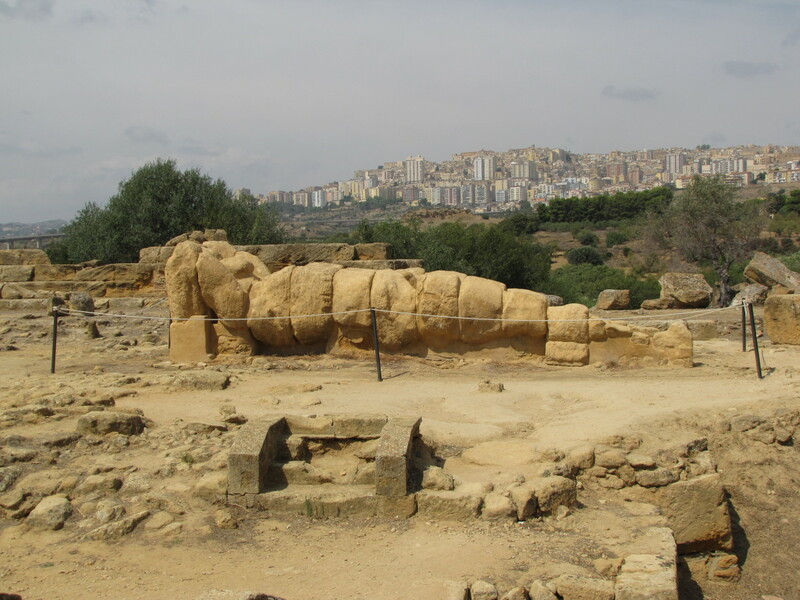 Much of the ancient city of Agrigento remains unexcavated but the size and grandeur of the temples here clearly gives visitors some insight into the significance of Agrigento in the ancient Mediterranean world. At one time Agrigento, or Akragas as it was called in ancient times, was one of the richest and most important cities of the Greek empire. 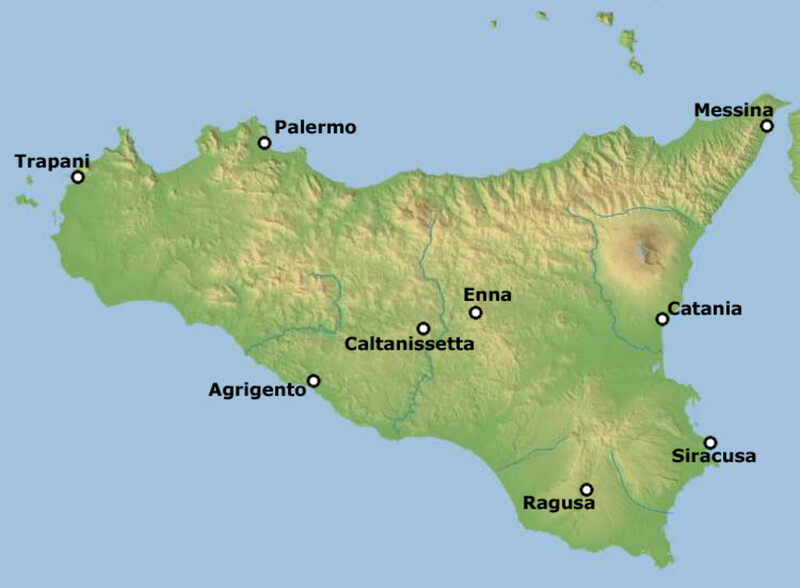 Of course Agrigento, as with most of Sicily, has changed hands many times over the millennium and the fate of the city fell into despair by time the Normans arrived in 1086. Jump ahead to the 19th century when the site was excavated by noted Sicilian scholar and archaeologist Domenico Antonio Lo Faso Pietrasanta. After years of excavation between 1809 and 1812, the site was revealed to pretty much what you see today, although restoration has been and will continue to be an on-going process. Known simply by his nickname, Serradifalco, Domenico was also responsible for overseeing the excavation of many other archaeological sites across Sicily including Segesta, Siracusa and Taormina. During World War II the modern town of Agrigento was bombed by the allies when they invaded Sicily all along the southern coast of the island. Thankfully they took great care to avoid the temples and the hill where they reside was spared the wrath of the US and British forces. Today, this site can truly claim to have survived everything that history has thrown at it. The crown jewel of the Valley of the Temples is certainly the Temple of Concordia. Outside of the Parthenon in Athens there is perhaps no better preserved example of a Greek Doric Temple anywhere in the world. Constructed in 430 BC the temple measures six columns wide by thirteen columns long. In typical Doric style each column has twenty grooves. This temple owes its excellent state of preservation to the fact that it was converted into a church in the 6th century when under Roman influence. It certainly is remarkable that this temple has survived virtually intact for over 2500 years. 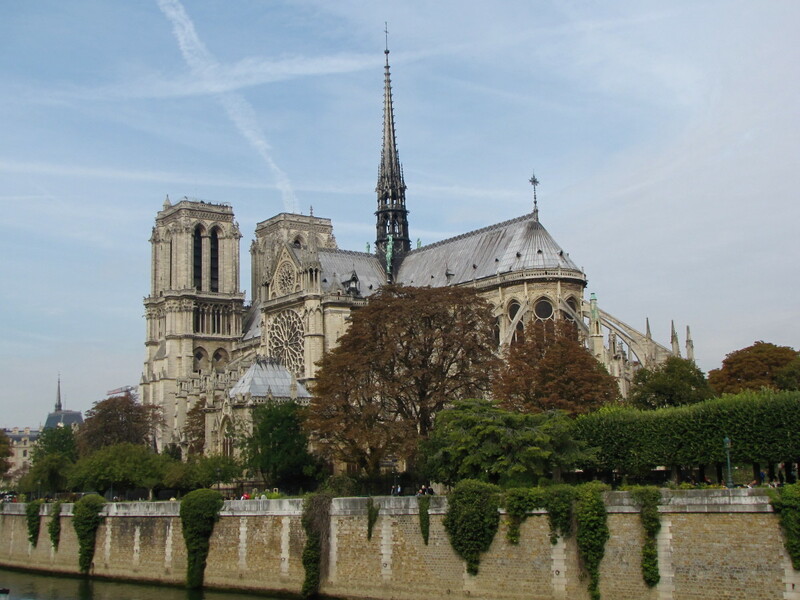 Regarding the name Concordia, it supposedly came from a Latin inscription that was found in the area in the 16th century and has no significance to the structure. However, Concordia in ancient Roman religion is the Goddess of Agreement. Similar to the Temple of Concordia but not as well preserved is the Temple of Juno. The remains of this temple sit on the highest spot on the ridge and there is an olive tree in front of the temple that is reportedly over 1,000 years old although there is no way to verify this. Erected in 450 BC this temple was built to honor the Roman goddess Juno, who looked after the women of Rome. Her Greek counterpart is Hera and this temple is also referred to as the Temple of Hera. Along the path from the Temple of Juno to the Temple of Concordia are the remnants of the ancient city wall that protected this hill. This area also contains a necropolis and some other tombs and catacombs. As we were approaching the Temple of Concordia our guide pointed out a burial site that was recently excavated. The site was in an open area in front of the temple and had he not pointed it out we would not have noticed it, an excellent reason to consider a guide for your visit. The largest temple of Agrigento was the Temple of Olympian Zeus. Although this temple was never fully completed it was the largest Doric temple ever built. To visitors today the site will appear to be just a pile of pillars and stone blocks but at one time this temple measured 185 feet wide by 370 feet long, larger than a modern football field. An interesting feature to this temple was the presence of large stone figures called atlases that were placed in between the columns. These figures stood with their arms stretched above their heads and archaeologists suspect that this was to help support the weight of the upper portions of the temple. One of these fallen atlases has been reassembled on the ground and it gives visitors a sense of just how large these figures actually were. 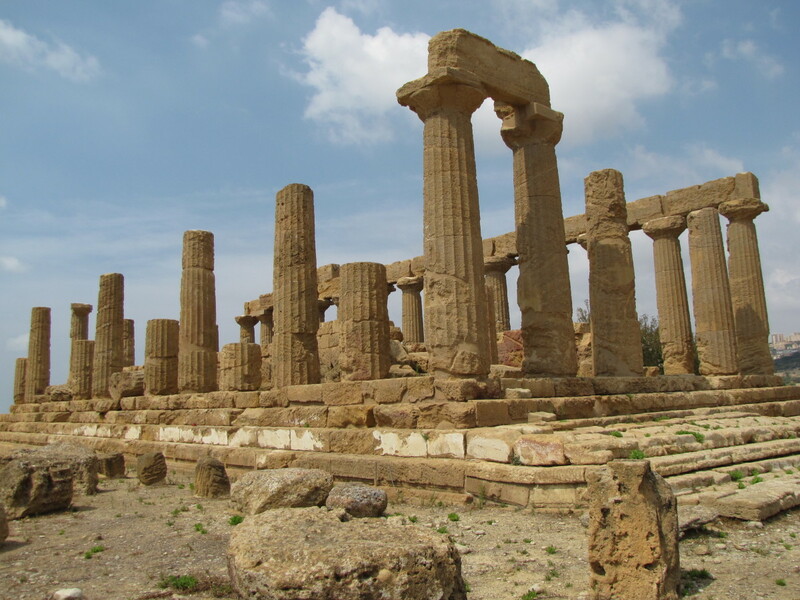 If you are planning a visit to Sicily it is highly recommended that you visit the Valley of the Temples. 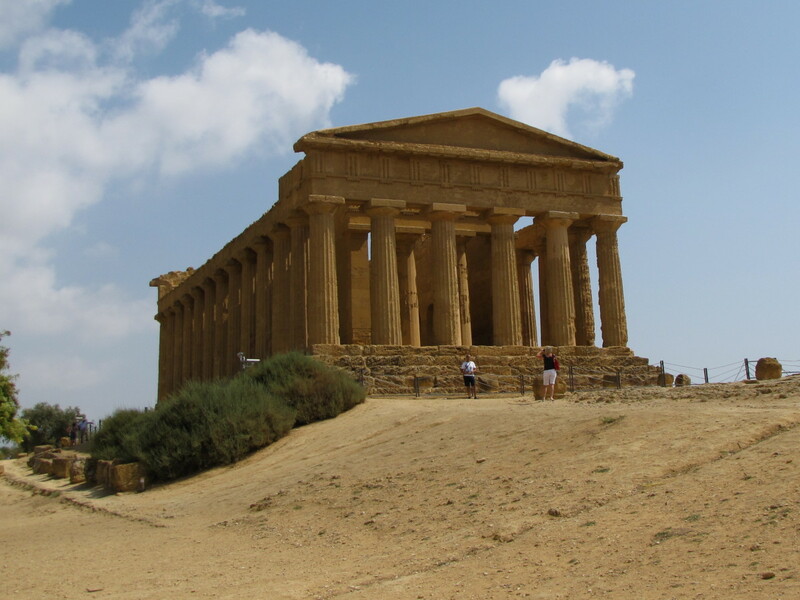 Whether you decide to spend some time in Agrigento or simply make a day trip to see the temples this site is certainly worth the time and effort. I would also recommend the services of a guide or at the very least renting the audio guide that is available to help you in identifying the temples and other points of interest. 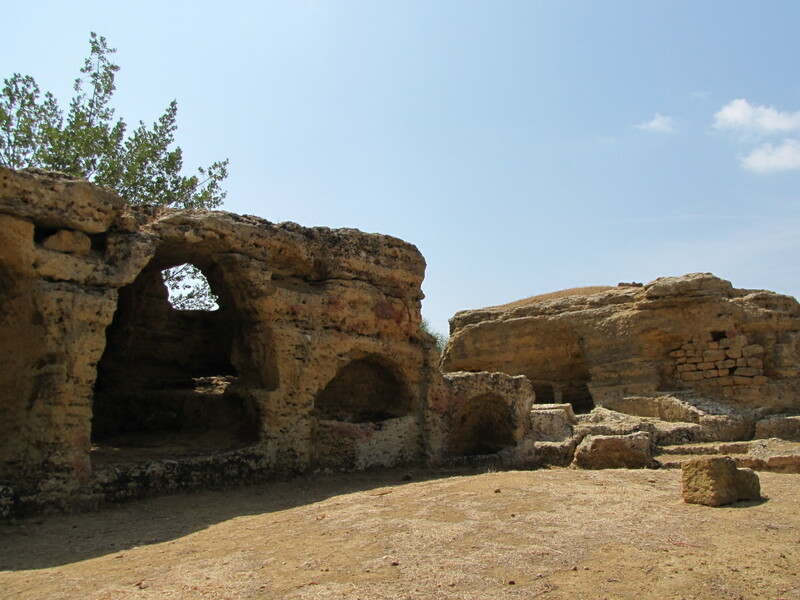 Given its somewhat secluded location in Sicily and the fact that it is a couple of hours from the larger metro areas you want to make sure that you give this site its due justice. Enjoy your visit to this remarkable archaeological wonder. Thanks again Mary. For Greek Temples it doesn’t get much better than this. Just a magnificent place. 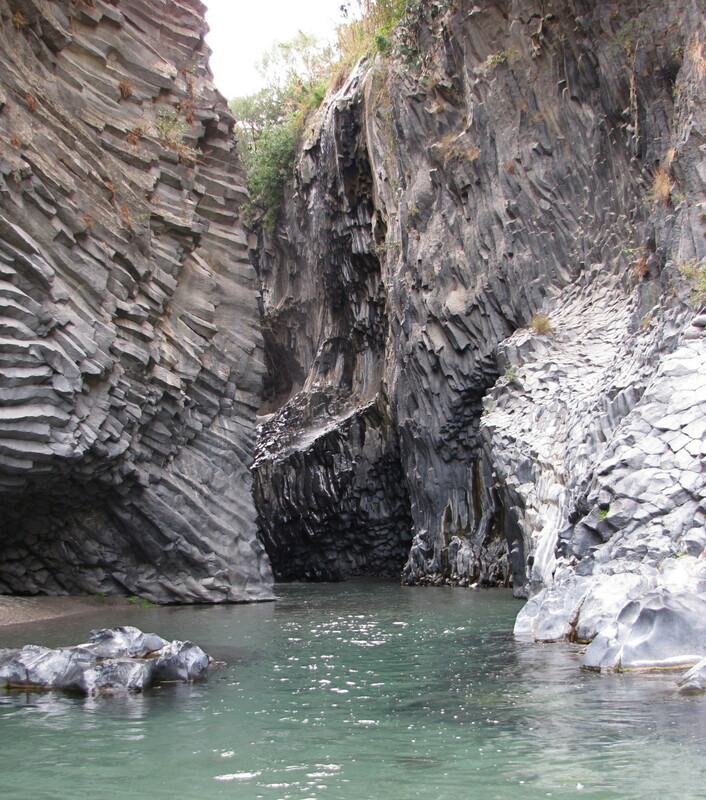 This is one of the beautiful places we visited in Sicily. It is etched in my memory. Thanks Cedric. It was on my bucket list also. Hope you get there soon, it's worth the effort. One of the places on my bucket list. Thanks for sharing your visiting experience and lovely pictures. Hi Anne. If you ever get to Sicily be sure to visit the Valley of the Temples. It's just an amazing area. Thanks so much for the visit and vote. Have a great day. Have never been south of Rome, but this is now on my to-do list. Thanks, and voted up - look forward to working my way through your other hubs. Hi Glimmer Twin Fan. Thank you for stopping by to read and comment. You know first hand how amazing the temples are. I could use another vacation also! Many thanks for the vote. Another incredible hub. I was here over 30 years ago and it was breath taking. I really need a vacation! Voted up! Hi Alicia. Thanks so much. The Temples are pretty amazing, I think you would love it. Hopefully you'll get there someday soon. Many thanks for stopping by. This is definitely a 5 star hub, Bill. The photos are wonderful, and I loved reading about the history of the Valley of the Temples. I would love to visit Sicily and photograph the fascinating sites and beautiful scenery there. Hi Mike. Does seem like we have regressed in some ways. It truly is amazing what they accomplished that long ago. Just amazing that the Temple of Concordia stands today pretty much as it did 2500 years ago. Thanks so much for the votes and tweet. Whenever I see fabulous places like this. I wonder what happened to us humans. The Greeks and Romans were so advanced, as you say 2,500 years ago. We only got indoor plumbing in the last 50 years? Very interesting place and the photos are great. I'd like to visit the Temples of Agrigento sometime and this was a nice taster. Thanks. Rated 5 4/5 buttons and voted up. Tweeting. Hi Sabrina. 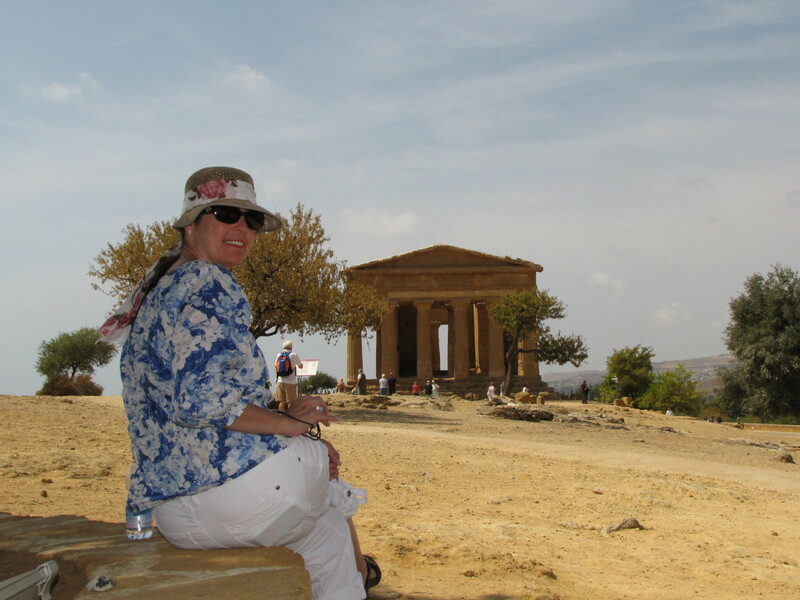 So glad you enjoyed the Temples of Agrigento. 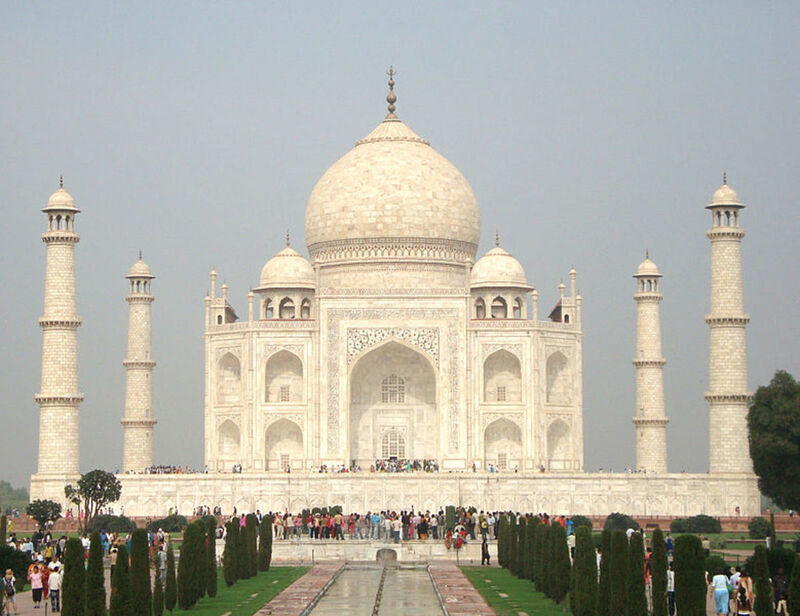 Hopefully you get a chance to visit someday, you will be impressed. Have a great day. Hi Carol. We have covered a lot of ground on our three trips. We really enjoyed Sicily and the Temples were just amazing. I have never seen anything like this before, just fascinating. Thanks so much for your continued support, much appreciated. Thanks newusedcarssacram. Appreciate you stopping by to read and comment. Have a great day. Hi James. Thanks for stopping by, glad you enjoyed it. It was awesome. Welcome to HubPages. Hi Peggy. Thanks so much for the continued support, so glad you are enjoying Sicily. We found the temples here to be fascinating. Thank you for the vote, share, etc. Beautiful! 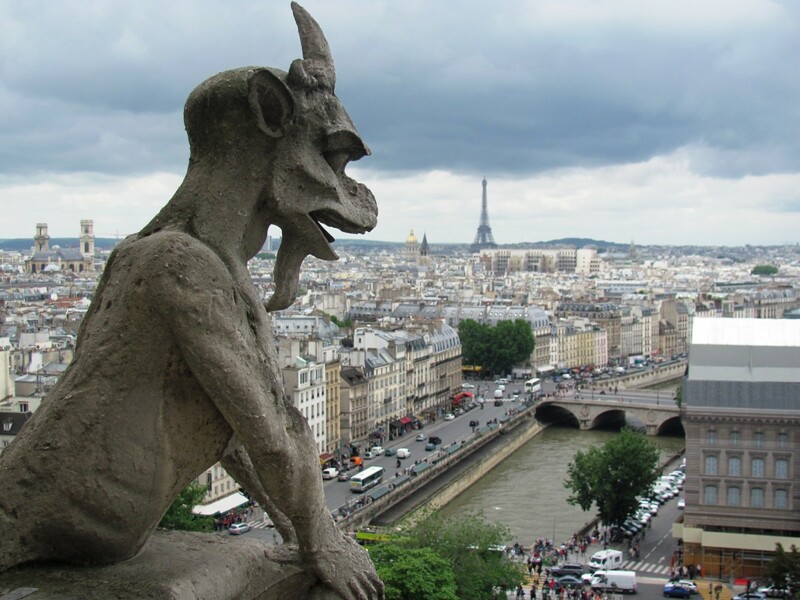 I would love to visit some day! The place is adventurous and exciting. I really appreciate you for posting such a beautiful hub. This is freakin' awesome! GREAT HUB!! This was an awesome read, thank you! Your travel photos are always superb and these from Sicily are no exception. It was so interesting seeing the Valley of the Temples through your camera lens and also your words. Fascinating! Up votes and will share. Happy to add another 5 star rating to this hub. Hi Suzie. 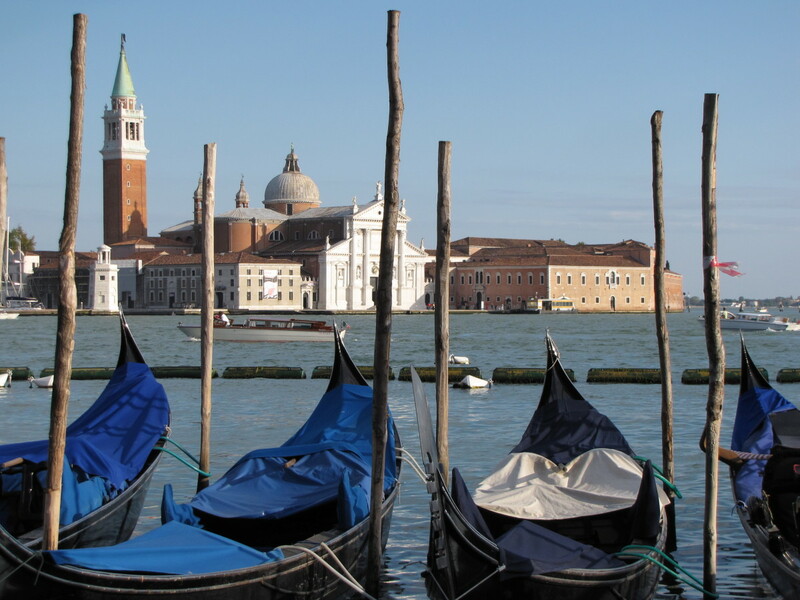 When you get to Italy put this place on your list. Really fascinating. I would have loved to have seen the atlases holding up the roof of the Temple of Zeus. Must have been quite a sight to behold. Thanks so much for your support, I very much appreciate my Irish friend. Thanks Bill. I was in awe standing under the Temple of Concordia and realizing that it has stood on that spot for over 2500 years. It has survived war, earthquakes and Man! I think they knew a few things that we have yet to figure out. Thanks for stopping by. Very much appreciate the support my friend. What a fascinating place that I was unaware of. The temples are amazing and I love the Doric pillars. The ancient olive tree looks well for 1,000 yrs of age! 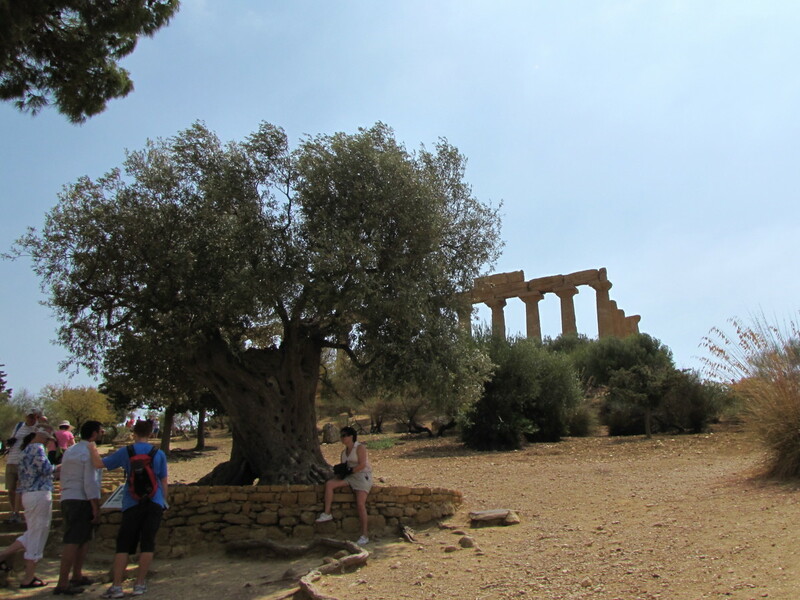 Great history on this must see wonder in Agrigento. Love the Atlas statue, it really must have been an incredible sight when standing erect by the pillars. Another great job, VU,everything, shared, gave a 5 in ratings . . . .Loving this series on Sicily! My dad was there during the war and had some great pictures. Do you think those people knew how to build something that would last a few thousand years? LOL Unbelievable architecture! I'm not so sure we have advanced over the years. Great hub and pictures, Bill!